Abstract: Lithium niobate (LN) is an “old” material with many applications in optical and microwave technologies, owing to its unique properties that include large second order nonlinear susceptibility, large piezoelectric response, and wide optical transparency window. Conventional LN components, including modulators and periodically polled frequency converters, have been the workhorse of the optoelectronic industry. They are reaching their limits, however, as they rely on weakly guiding ion-diffusion defined optical waveguides in bulk LN crystal. I will discuss our efforts aimed at the development of integrated LN platform, featuring sub-wavelength scale light confinement and dense integration of optical and electrical components . Examples of devices to be discussed include integrated LN electro-optic modulators that can be driven directly by a CMOS circuit , electro-optic frequency combs , Kerr frequency combs , and microwave-to-optical transducers . Finally, various approaches to perform nonlinear wavelength conversion in LN waveguides will be discussed . 1. M. Zhang, C. Wang, R. Cheng, A. Shams-Ansari, and M. Loncar, “Monolithic Ultrahigh-Q Lithium Niobate Microring Resonator.” Optica, 4, 1536 (2017). Biography: Marko Loncar is Tiantsai Lin Professor of Electrical Engineering at Harvard's John A Paulson School of Engineering and Applied Sciences (SEAS), as well as Harvard College Professor. 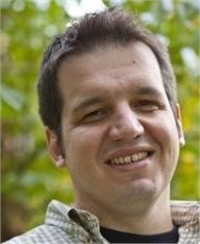 Loncar received his Diploma from University of Belgrade (R. Serbia) in 1997, and his PhD from Caltech in 2003 (with Axel Scherer), both in Electrical Engineering. After completing his postdoctoral studies at Harvard (with Federico Capasso), he joined SEAS faculty in 2006. Loncar is expert in nanophotonics and nanofabrication, and his current research interests include quantum and nonlinear nanophotonics, quantum optomechanics, high-power optics, and nanofabrication. He has received NSF CAREER Award in 2009 and Sloan Fellowship in 2010. In recognition of his teaching activities, Loncar has been awarded Levenson Prize for Excellence in Undergraduate Teaching (2012), and has been named Harvard College Professor in 2017. Loncar is fellow of Optical Society of America, and Senior Member of IEEE and SPIE.